One Month Pass to Online Yoga with MyYogaWorks! MyYogaWorks is a premium online yoga site that offers a carefully curated collection of over 1,100 online yoga, fitness, and meditation videos taught by certified YogaWorks instructors. Classes range in length from 5-minute tutorials to 90-minute full classes, with beginner, intermediate and advanced sequences to suit practitioners of all levels of experience. Redeem this reward to get one free month of access to MyYogaWorks without any credit card! Karma Points! Donate to Charity. In partnership with the Give Back Yoga Foundation and Eat Breathe Thrive, we're fostering positive body image and helping people overcome eating disorders through yoga and community. 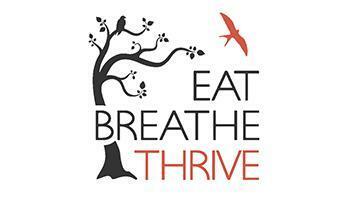 For every 6,000 points redeemed by our community, we will donate $100 to the Give Back Yoga Foundation which directly funds Eat Breathe Thrive. Break a sweat during your yoga practice? Then this is the perfect reward. 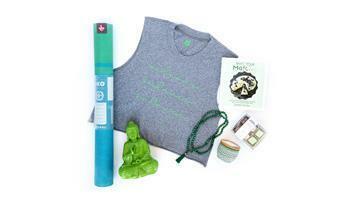 Get a beautiful yoga sweat towel, perfect for when the class builds heat. Act fast, as each studio has a small, limited supply. Please redeem this directly at the studio to ensure they have this towel in stock. 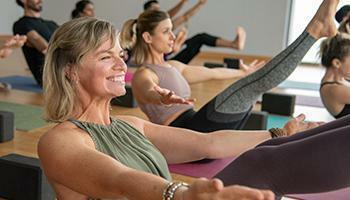 Receive $25 off of your next purchase of $50 or more at any YogaWorks studio retail boutique. Coupon valid on minimum purchase of $50. Limit 1 $25 redemption per retail purchase. Expires 30 days after redeemed in Perkville. No cash value. Non-transferable. Cannot be used to purchase trunk show merchandise, food or beverages. Cannot be applied to membership dues, class packages, single classes, workshops, teacher training or private yoga classes. *Item may be returned, however the $25 gift card cannot be reinstated. Free Yoga Class - For You or a Friend. Nothing is better than free yoga. Redeem this reward and your next class is on us! Or even better, spoil your best friend. 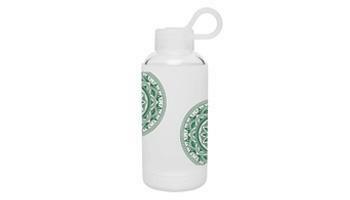 This beautiful 16 ounce single wall borosilicate reusable glass water bottle is your new best friend for your yoga practice. It can withstand sharp changes in temperature, which makes it ideal for warm and cold beverages alike. 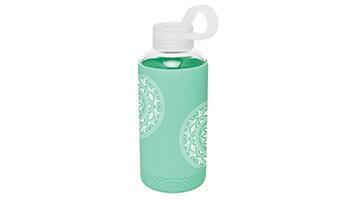 The threaded lid ensures a tight seal so that you do not spill your drink on yourself or anywhere else, and the carrying loop makes it easy to take with you to yoga or when you are on the go. Its protective silicone sleeve helps keep your drink at just the right temperature and prevents breakage and any loud noises when falling on the floor in class. In partnership with the Give Back Yoga Foundation and The Prison Yoga Project, we're striving to help incarcerated men and women rebuild their lives through mindful trauma-informed yoga programs. For every 5,000 points redeemed by our community, we will donate $250 to the Give Back Yoga Foundation which directly funds The Prison Yoga Project. 95% of prisoners will return to our communities. 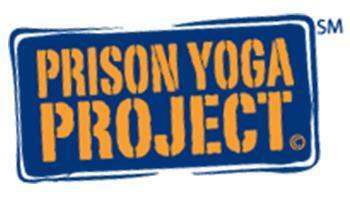 The Prison Yoga Project believes in opportunities for redemption, transformation, and assuming responsibility for harm caused. Their work has profoundly impacted thousands of prisoners and improved their prospects for successful reintegration into society after release. Receive a free month of access to all yoga classes at any studio in your region! Contact the studio to have the month credit applied.